The gift from Louis and Harold Price Foundation will enable Dr. Daniel Lu, examining patient Brian Gomez, to test spinal cord injury treatments, with potential for groundbreaking therapies. 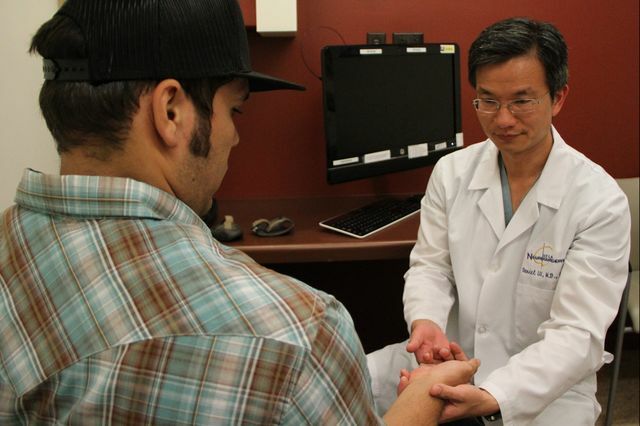 The David Geffen School of Medicine at UCLA has received a $3 million gift from The Louis and Harold Price Foundation to support the spinal cord work of Dr. Daniel Lu, associate professor of neurosurgery and director of the UCLA Neuroplasticity and Repair Laboratory and UCLA Neuromotor Recovery and Rehabilitation Center. Lu’s research combines basic science and clinical testing to decode the spinal cord’s electrical language, which controls muscle function in multiple motor systems. He applies these findings in studies of potential treatments for patients with spinal cord injuries, using different methods to activate the spinal cord and restore normal function. The new funds will enable Lu to test promising treatments in larger patient groups, with the potential for groundbreaking therapies. The expanded studies will evaluate whether various spinal stimulation approaches improve patient outcomes such as strength, mobility of limbs and bladder control. 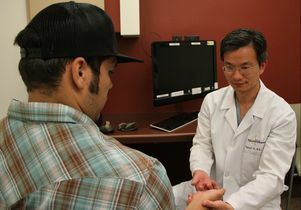 Lu has already observed such improvements in previous studies: A stimulator implanted next to the spinal cord improved two individuals’ finger mobility, grip strength and ability to perform everyday tasks, while noninvasive magnetic stimulation of the lumbar spine helped five men regain or improve bladder control, boosting quality of life. Established in 1951 by Harold Price, who built the Popsicle business and brand with his father, Louis, the Price Foundation has supported UCLA for more than five decades through its commitment to social services, health and education. Its latest gift is part of the UCLA Centennial Campaign, which is scheduled to conclude in December 2019 during UCLA’s 100th anniversary year.